Inspired by the Arts and Crafts details of this historic 1920’s home, we combined classic form with unique details to create a landscape that flows from front to back. 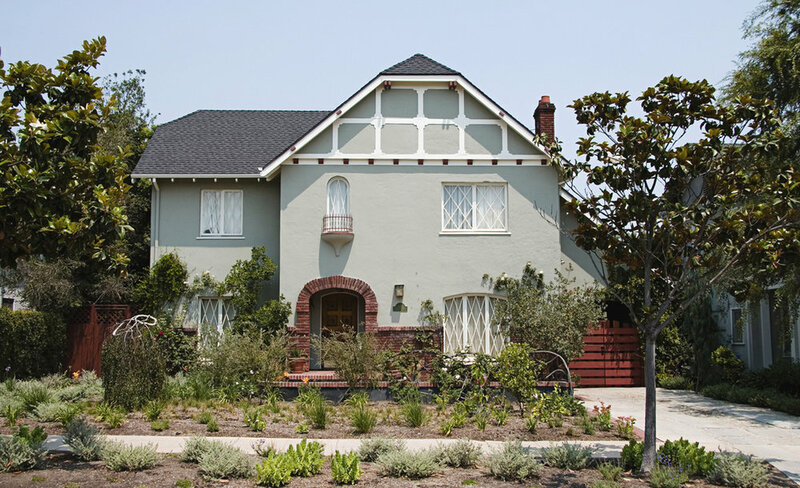 Replacing the decorative front lawn with a water-wise garden creates depth between the sidewalk and the front facade. The classic English lawn was re-imagined with a central meadow of Carex pansa. 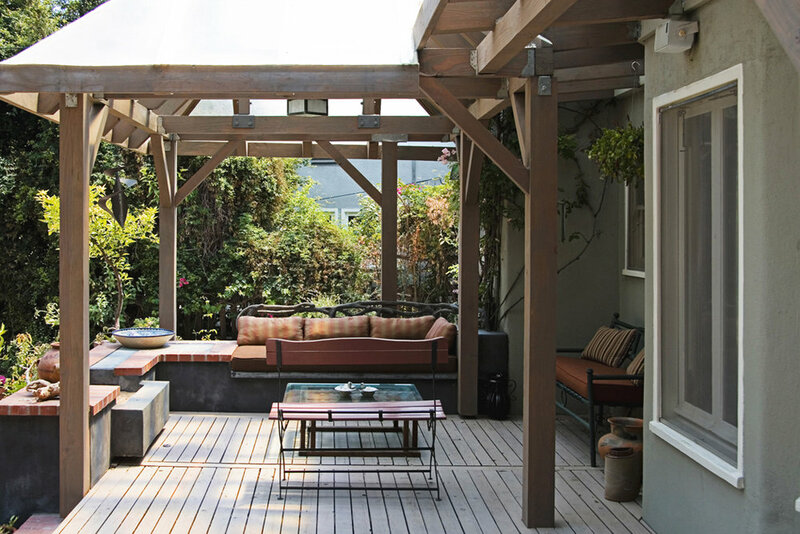 The trellis utilizes the classic french technique of creating branches out of steel and concrete, known as “Faux Bois” or fake wood. To the side of the house, the port cochere once used as a vehicle entrance frames an elegant path to the back yard. A handcrafted basket-weave gate fills the entryway, its stained brick color accenting the brick details on the house. Gravel and stepping stone driveway allows water to permeate while creating a pedestrian-friendly path lined with weeping junipers in wooden planters. We covered an existing deck with a wood pergola and translucent fiberglass panels to define a year-round entertaining space. A built-in couch and fireplace frame a relaxing sitting area, while a custom counter provides useful work space for the dining area. A neutral hardscape palette of brick, charcoal plaster and stained Douglas fir provide a backdrop for the rich-colored concrete, handcrafted tile and faux-bois railings. 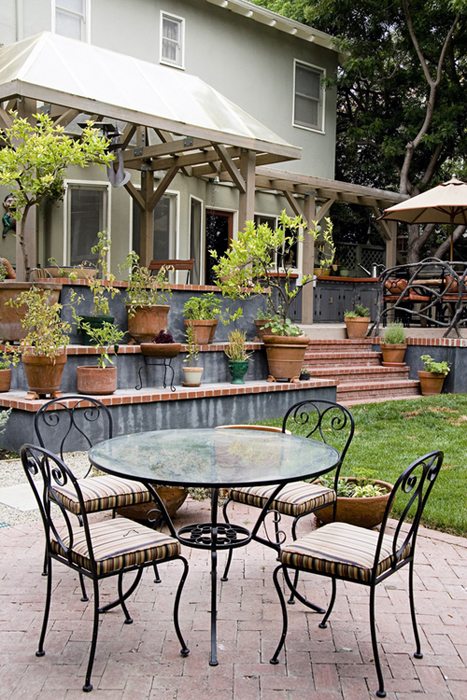 The deck leads to a traditional lawn bordered with perennials that require little water. Between the deck and lawn, a handcrafted fountain can be heard, soothing the noise from the surrounding spaces.